So the battleground has shifted to the central and eastern Europe. The smaller countries in this region supposedly should fall into the line more easily. Despite Huawei made Poland the headquarter of their central and eastern Europe operation and invested a lot in the country, I guess the fear and hated towards Russia and the lure of the US security protection are so much greater. Poland didn't even bother to hide their intention after the authority arrested the Huawei employee in Warsaw for alleged spying activity, the security chief announced the news on Twitter and copied to six US agencies including State, CIA, FBI. They did say it's not against the company but the individual though. For Poland's sake, I hope they get the opportunity and privilege to build their proposed billion dollar Fort Trump out of their own pocket, to make all these worthwhile. The US has warned of the growing influence of Chinese telecoms company Huawei in central and eastern Europe as it launches a diplomatic push to curb Beijing’s ambitions in the region. Mike Pompeo, US secretary of state, is due to visit Hungary, Slovakia and Poland this week in a sign of Washington’s fears over inroads made by Beijing through business deals and infrastructure investment. The potential for Chinese intelligence services to use Huawei to snoop on host countries has emerged as a central concern for Washington in its broader strategic tussle with Beijing and Moscow in eastern states of the EU. Huawei has strongly denied it is vulnerable to such interference. US officials said in a briefing that the “large number of small and mid-sized states” in central and eastern Europe, many of whom “have a higher propensity for corruption”, could allow China to “penetrate key sectors” and exert influence within the EU. “We are more concerned about the Chinese presence, the Huawei presence, in central and eastern Europe than in western Europe,” a senior administration official said. The US justice department last month issued a criminal indictment that accused Huawei of stealing American technology and breaking US sanctions against Iran. Huawei has denied any wrongdoing. Washington’s concerns have made waves in central Europe. Poland last month arrested a Huawei employee on suspicion of spying — prompting the Chinese company to fire him for bringing it into disrepute, and stress that his alleged actions had “no relation” to the company. The Czech Republic effectively shut Huawei out of public tender following a warning from the country’s cyber security watchdog. Zhang Ming, China’s ambassador to the EU, last month hit out at the “slander” and “discrimination” allegedly faced by Huawei and other Chinese companies in Europe. Polish officials see the US as crucial to their national security, particularly in light of Russia’s renewed assertiveness, and hope to persuade the US to establish a permanent military base in the country. It has the potential to disrupt Polish-Chinese relations — so the reason behind this decision, taken at the highest governmental level, must have been more important than keeping a good relationship with China,” said Grzegorz Malecki, a former head of Poland’s foreign intelligence service who works for the country’s Institute of Security and Strategy think-tank. However, Czech president Milos Zeman has warned that moves against the Chinese company would hurt his company’s economic interests. Slovakia’s prime minister, Peter Pellegrini, also said last month that he did not consider the Chinese group a threat, and warned politicians should “be careful not to become a tool in a trade war or fight between competitors”. China has long made overtures to central and eastern European countries through its 16+1 grouping, which includes 11 EU members. Beijing has denied it wants to use the initiative as a Trojan horse to split the EU, tempting member states to its orbit by financing the building of roads, power stations and other infrastructure. The US says the 16+1 initiative “underscores the importance” of central and eastern European nations in “Chinese global strategic plans”. Observers say Washington could try to lever emerging dissatisfaction in some 16+1 countries, including Poland, over the quality and value of some Beijing-backed projects. The US administration said on Friday that it would increase its wider US diplomatic, commercial, military and culture engagement in central Europe, and hoped to offer an “alternative” to China and Russia. “Our view is that this is overdue and needed, and it has been in part the lack of robust US engagement over the past decade or so in central Europe that has created vacuums that China and Russia have very readily filled,” an official said. bluewater2012, KIENCHIN and zealotaiur485 like this. The US vs. Huawei saga continues. Don't underestimate the US government, you never know what the current administration has up sleeve. Over the last few days, Norway and Lithuania came out to accuse China of conducting intelligence activities in their respective countries. Lithuania, of all the places? I'm scratching my head. Upon further investigation, it turns out that Lithuania is accusing China of monitoring and keeping watchful eyes on them on potential moves on Taiwan and Tibet -- WTF. As for Norway, there have not been any specifics about the charges, but I suppose since Norway and China had some fallout in the past about Nobel Peace Prize award for the late Chinese dissident Liu Xiaobo, maybe China is closely monitoring which Chinese dissident that Norway is going to award the prize again in the near future. Still, one gets the feeling that neither country has done as well a job as Poland. The latest installment in the tale of Huawei versus the United States is coming soon, a report on Thursday previewed, as the Trump administration continues to lash out at one of China’s biggest success stories. US President Donald Trump is expected to sign an executive order next week which will officially ban US wireless networks from buying Huawei equipment, as first reported by Politico. 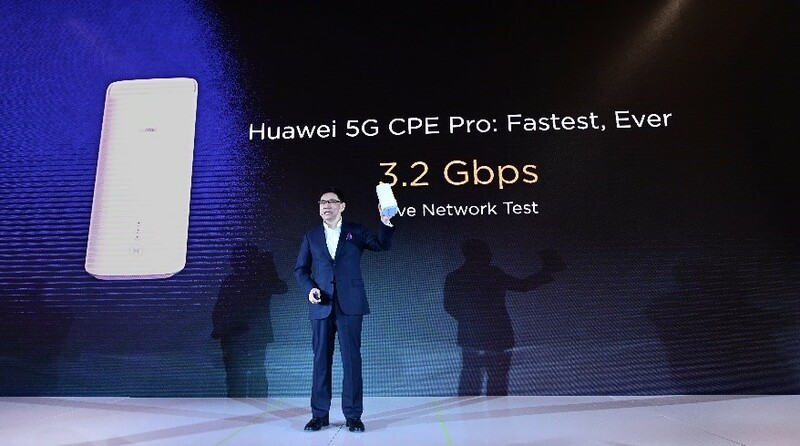 Large US service providers are already effectively prevented from working with the Chinese national champion, but some smaller firms still rely on Huawei’s less expensive gear. The move, which had been long-expected, is said to be timed ahead of Mobile World Congress, an industry exhibition set to be held in Barcelona at the end of this month. 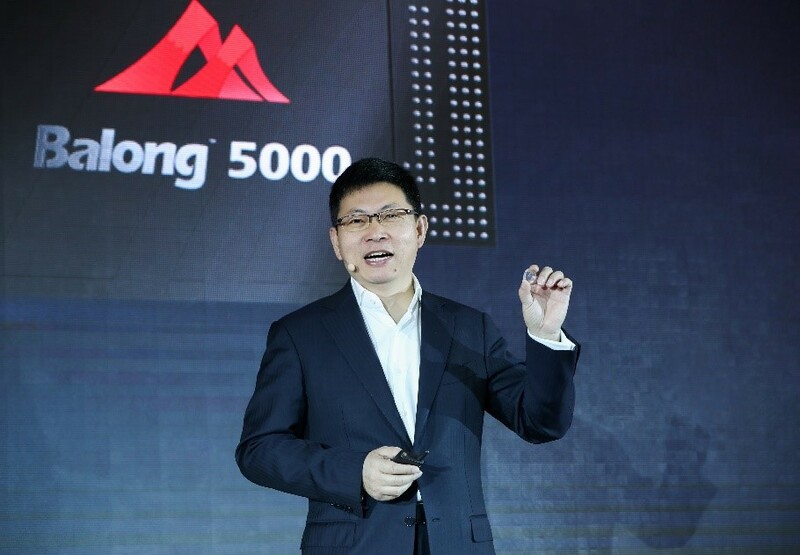 One informed industry source told Asia Times that Huawei will use the event to showcase just how far ahead of the competition it is in terms of 5G technology. Experts widely agree that Huawei is well-positioned to be at the forefront of establishing fifth-generation mobile networks across the globe, except in countries where it is blocked due to security concerns. But stepped up efforts by US officials to pressure allies appear to have fallen short in Europe. Australia has already banned Huawei gear from 5G networks, and Canada is widely expected to follow suit. German, Italy, and the UK, however, have given signals this week that they will not ban the Chinese equipment. The German government issued a statement to the press this week that they do not seek to prevent Huawei from selling equipment in the country. Italy confirmed that it has no plans to block the Chinese gear maker, rejecting a report that said otherwise. But on Friday, a top executive at BT Group, the UK’s largest telecoms provider, went out of his way to join Italy and Germany in snubbing the US on the issue. “Over the years that we’ve worked with Huawei, we’ve not yet seen anything that gives us cause for concern,” CEO of BT’s consumer brands, Marc Allera, told CNN. At the Mobile World Congress later this month, the next chapter in the Huawei vs United States saga will reveal who gets the cold shoulder. getready, AssassinsMace, bluewater2012 and 6 others like this. You mean to tell me this far less bloodier than the US regime changing ways? Oh yeah beware of the NSA reading our emails. AssassinsMace, zealotaiur485, Gatekeeper and 3 others like this. antiterror13, Equation, zealotaiur485 and 3 others like this. I basically agrees with much of what you'd said. I'll however, like to add two things. 1st, China is basically being outplayed by the west in propoganda. I mean, the west and their mouth piece the MSM keeps on about China spying and therefore China is a bad actor in the world and should act responsibly. A charge seem to have stuck in the minds of the public at large. I mean. Come on, we even have a thread in the SDF about China should act responsible or something. The Joe public actually believe this as true. Oh yeah, I suppose the west don't spy on anyone at all because they are such a responsible countries! 2nd. The west and their laughable nobel prize! Yeah it's not political they keep telling us. Gee, and the Joe public bought that one as well. I mean, we even play their tune by calling Liu Xiaobo a "dissident"! We should call him what he is. A convicted criminal. Because the western MSM labeled him as a "dissident " it legitimise his award. It would be difficult if he was labeled a criminal! I know, before you all jump at me. He's convicted for subversion of state power. So its political. Hey Saudi anyone! In case anyone thinks Saudi is an extreme example. Well I could be arrested in the UK for treason simply by saying something derogatory about the Royal family. Until recently treason in the Uk is still punishable by death! Nobel prize for me then? What's with all this one liners? And personal questioning? I don't ask you what you do, are you married or how many kids you have. FYI. You should've guess what my educational backgrounds are by the stuff I write in this forum. If not, the clue is in my name! How is Jura being uncivil by asking what you teach? You basically self invite the question when you volunteer the information that you are a lecturer. If you think the question is too intrusive then just decline to answer. signgraph, Equation, bluewater2012 and 3 others like this. Reading between the lines, more proof that US harassment of Huawei is rooted on her insecurity of loosing control over access to private data. If US is truly interested in protection of private data, there are many ways to work together with Huawei. However, the bigger fear for the US is loosing access to everyone's data. "The United States has also voiced worries over Hungary's growing relationship with China, including an agreement for telecom giant Huawei to develop the country's fifth-generation mobile networks. Washington has been ramping up pressure on Huawei -- with senior executives of the company arrested in US allies Canada and Poland. It warns that China could come to dominate the next wave of technology, with grave repercussions for the protection of individual data and the safety of infrastructure." Equation, bluewater2012, KIENCHIN and 1 other person like this.